The Original Inflatable BullyBoard is built for taller/bigger riders up to 325lbs. 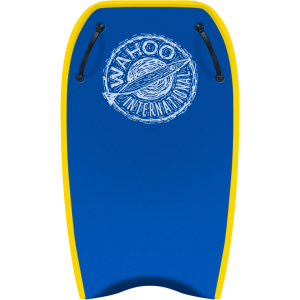 Wahoo International has developed these unique boards for riders of above average size to enjoy wave riding with and without their kids. Using the latest High-Pressure Inflatable Technology, we have created a bodyboard rigid enough to float big adult riders that can be deflated, folded up, and carried in a suitcase. 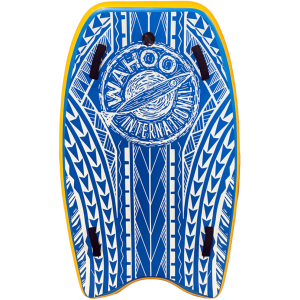 We’ve equipped this board with two handles that don’t protrude through the hull so riders can easily position themselves. This bodyboard is extremely durable and can handle the abuse of adult riders. For larger tandem riders who would like an inflatable BullyBoard, check out our Buffalo Inflatable BullyBoard. 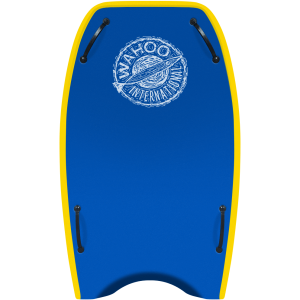 Includes four bodyboard handles laminated into the board’s core. Handles don’t penetrate the board’s hull keeping bottom smooth. 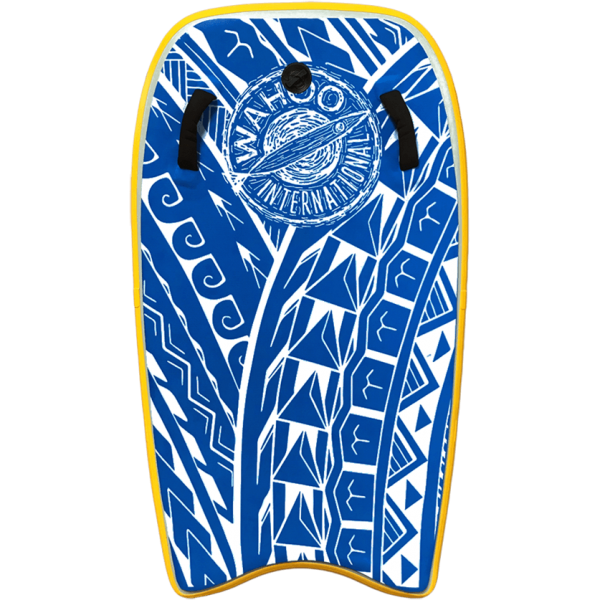 Offers better grip for tandem bodyboarders to easily position themselves on the board. Extra width and volume up front increases buoyancy allowing for easier wave catching. Designed for prone riding, this shape also helps to reduce pearling. Our crescent tails provide riders with more comfortable hip positioning while paddling and catching waves.